As usual I love your selections Douglas. Just peeked at your comets, sun, moon and mars poetry book. Love the funny cover. Was that your idea to have those cut outs? You don't sell any of the originals anywhere do you? Or prints? I'd love to have some of your work in my future perfect studio. That made me smile, thanks! Have missed "seeing" you in Blog-land. Hope you're keeping happy and busy! I wonder how many calories a poem has...I think I would like to trade my cookie habit with poetry consumption. I love this poem. Lee sent it to me a couple of years ago. Mark is fantastic. there is something deliciously devilish about the notion of literally eating words. familiar with eric sanvoisin and martin matje's ink drinker books? such fun. anyway, thanks for sharing this delight. One of my faves. Thanks for posting it. Great painting, too. Thanks so much, Rose. You can contact my email: laugheteria@aol.com for info about purchasing work. I missed you too, Teresa. 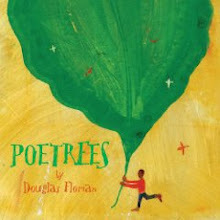 I've been super busy doing the art for my next book (poems about trees). Kelly, That poem has 190 calories, but no fat. Thanks, Jill. Yes Mark is great. Thanks David for those pointers. 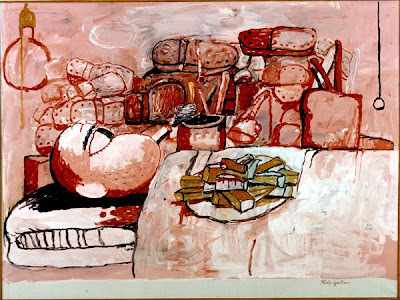 Yes, JAMA, we all have gusto for Guston. 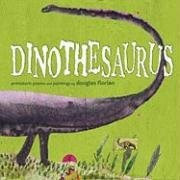 Merci, Dooglas, for introducing me to this Mark Strand poem. I'd never heard or read it. It reminds me, of course, of "How to Eat A Poem" by Eve Merriam which I'm sure you know. 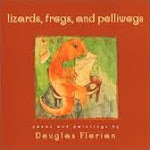 Once my second graders have chomped down on this poem, they illustrate it, and amazing images are created! In Strand's poem, ink runs from the corners of the mouth; in Merriam's poem, one can imagine juice from any number of ripe, luscious fruits ready to be devoured by gluttonous poem lovers! May I leave you with it? That made me smile, thanks a lot for this wonderful blog! That made me smile, thanks..really great to see this..Thanks for sharing..